Best universal remote controls | Best buys | What Hi-Fi? The idea of a universal remote is to allow you to use just one remote rather than two, three or four, to control your TV and AV system. Want to turn on your AV amp, TV and Sky box in one fell swoop? And for them all to be on the right input? 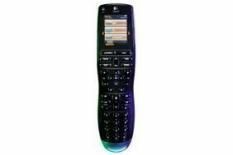 A universal remote can do that with one touch of a button, and let you control the channels and volume. While smartphones and tablets may now be capable of doing much the same thing, as well as living-room-owning devices like the Xbox One, we think there's something to be said for not relying on your smartphone for yet another task in your home.